Enjoy easy, convenient access to the contacts, radio stations and destinations you use most. You choose which favourites to include and how each list is organised. 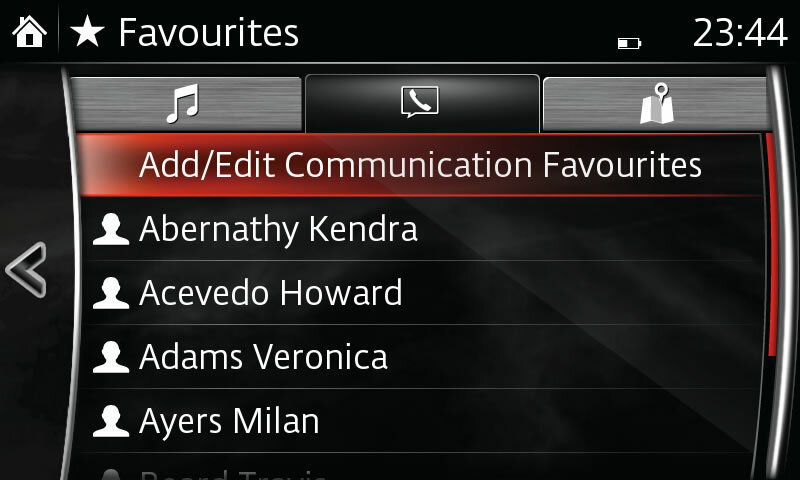 Select Favourites from the Communication menu or by pressing the favourites button. 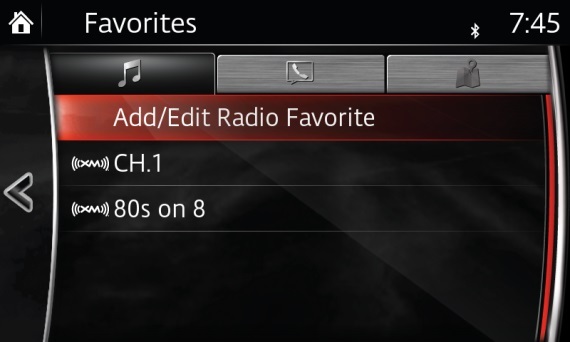 Create a list of up to 50 of your favourite radio stations for quick, easy access. 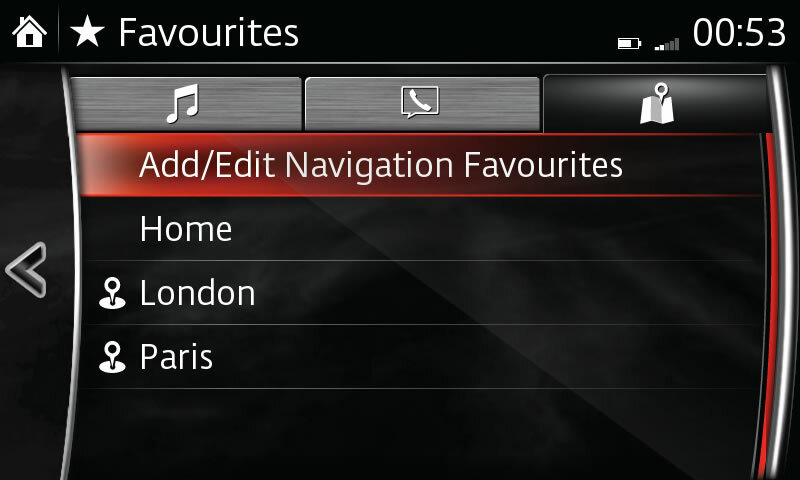 Select Favourites from the Entertainment menu or by pressing the favourites button. Select Add Current Location to add the current location to your Favourites list. Select Add Current Destination to add the current destination to your Favourites list.